Today in Masonic History Robert Pershing Wadlow is born on 1918. Robert Pershing Wadlow was an American and the tallest man in history. 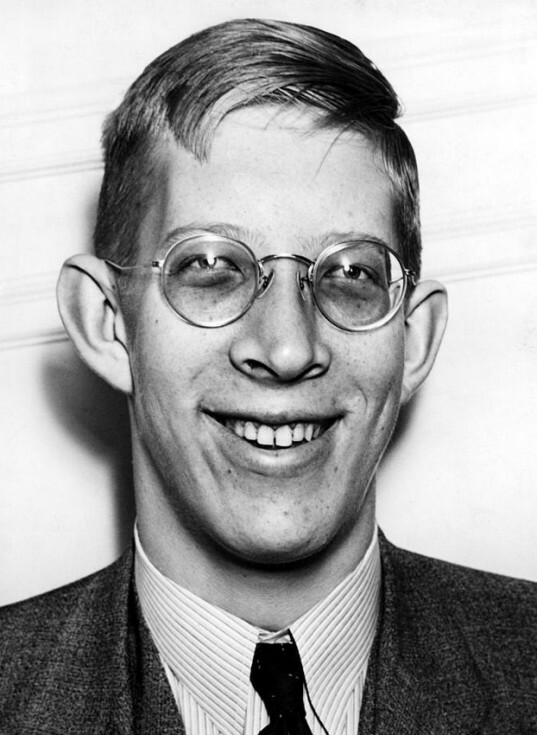 Wadlow was born in Alton, Illinois on February 22nd, 1918. By the age of 8, he was taller than his father. In elementary school they would had to build a special desk for him to sit at. He graduated from Alton High School in 1936. He originally planned to attend Shurtleff College to study law. Instead he went on tour with the Ringling Brothers Circus. Because of his size, Wadlow would lose feeling in his extremities, especially his feet and legs. Ths caused him to wear leg braces that would help him to walk. Despite the difficulty he would never use a wheelchair. During the 1936 tour, Wadlow became a celebrity. He got endorsement deals which were often in exchange for special made articles of clothing. In particularly he required special shoes which were made for him by a company. Examples of his shoes can still be seen at various locations around the country in museums. One year before his passing, Wadlow would pass John Rogan as the tallest, verifiable, man on record. On June 27th, 1940, 18 days before passed away, he was measured by doctors from Washington University in St. Louis, Missouri at 8ft 11.1 inches tall. On July 4th, 1940, Wadlow was making an appearance at the Manistee National Forest Festival. One of his braces was malfunctioning and it caused him to get a blister on his ankle. Due to his autoimmune disorder the blister became infected. Doctors attempted to treat him with a blood transfusion and emergency surgery. Unfortunately they would not be successful and Wadlow would pass away from the infection on July 15th, 1940. Wadlow was raised in Franklin Lodge No. 25 in Alton, Illinois in November of 1939. His masonic ring was the largest ever made.